The sport of freediving is starting to gain momentum in Romania, driven by a small, but quite active community, behind which Sergiu Şerban and Alex Russu have laid a great deal of effort, conviction and dedication. AIDA Romania, the local branch of the most known international freediving organization, was founded in 2012, the same year in which the first Romanian attendance as a team took place at the World Championships in Nice. Following, we present a series of freedivers’ portraits, freedivers who practice the sport and are active supporters of the freediving community, and who make a life enriching passion out of apnea diving. She is 29 years old, she’s from Bucharest and since four years ago she lives in Cyprus. It’s been nearly two years since she started practicing freediving, mainly in the Mediterranean Sea, in Cyprus. “Freediving helps me relax my mind and body, helps me know myself better and also the limits my body can withstand. It is the perfect combination between sport and relaxation,” Adriana explains. 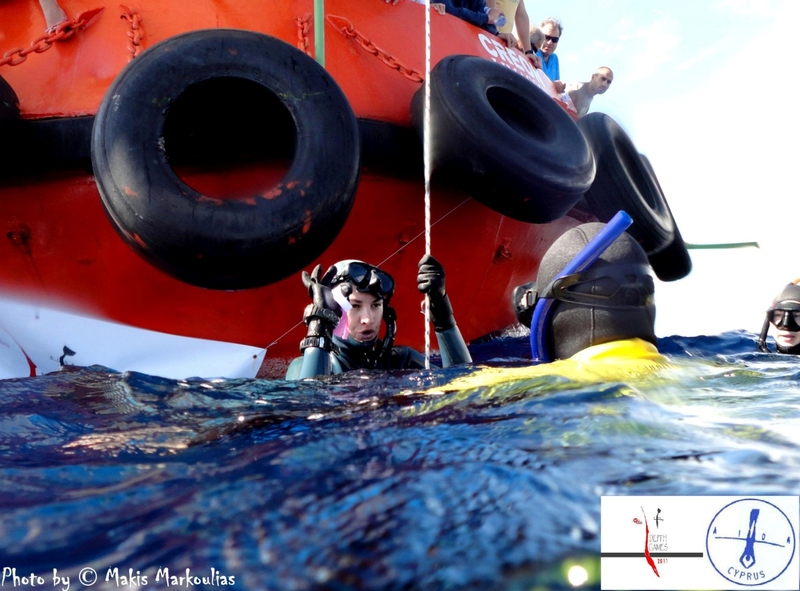 She participated in the 2011 AIDA Depth Games, which took place in Limassol, Cyprus, and where she placed first in the female Constant Weight (CWT) category. In September 2012 she took part in the 2012 AIDA Freediving World Team Championships, in France, Nice, where, together with Sergiu Şerban and Alexandru Russu, she represented the Romanian team. Here, Ada established two new female national records: 30m CWT and 75m DYN. The most recent attendance for Ada was in the middle of October at the AIDA Cyprus Depth Games 2012, in Limassol, where she placed first once again with a new Romanian national record – 34m CWT. 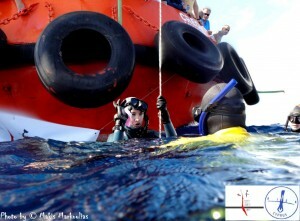 She will continue to practice freediving as a hobby and she will dive “as much as I’ll feel secure and relaxed. 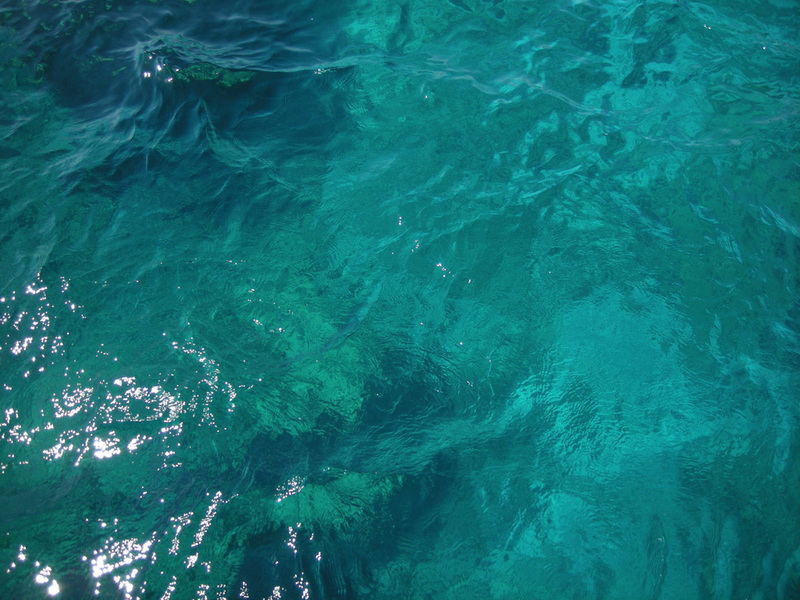 Usually, after I feel comfortable in a specific depth, I’m trying to go 1-2 meters deeper, and so on. In freediving I prefer to take small steps and be safe”. He’s 32 years old and originally he’s from Timişoara. He started freediving one year ago and believes that through it he gains “a sort of freedom that you can’t get somewhere else and the possibility of exploring the underwater world”. He will continue to practice this sport, “only when my friends are very insistent to dive:)”. He’s 37 years old, he comes from Bucharest and has already accumulated a rich freediving experience under his belt: “I first started diving 5 years ago with SCUBA equipment and I attended a few courses and got a few certifications, so this is how I came in contact with Romania’s diving community. 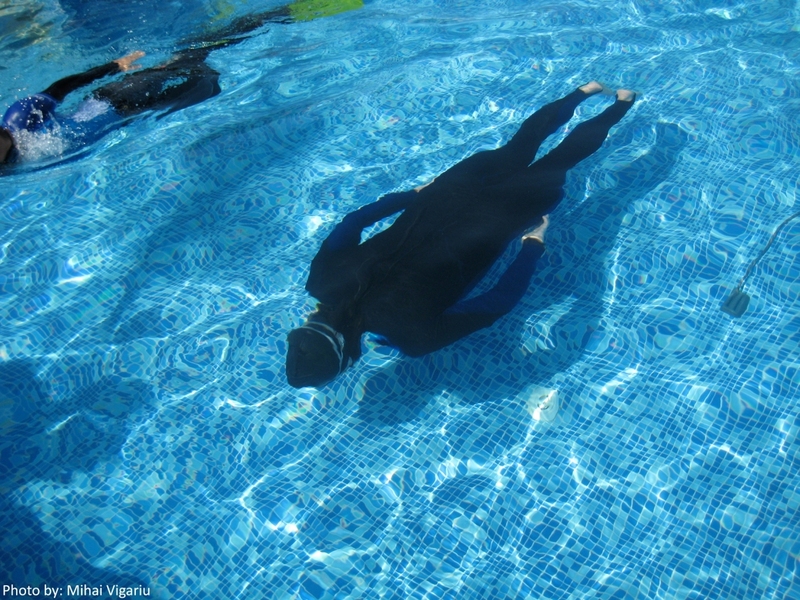 In the beginning of 2010 a group of people interested in freediving started to gather up. Sergiu was the catalyst. At around the same time the first courses were held and the ARDA association was founded; it was then when I truly started to practice freediving, because I was splashing around in the water at 3-4 meters since I was 10,” Adrian explained to us. He will continue practicing freediving every time he will get a chance. “The underwater world is fascinating and there are so many beautiful places to explore and so many things to see. I like both the recreational side of it with «strolls» along reefs and colored fish and the sport side of it where I can find out where my limits lay and train to surpass them”, explained Adrian. He’s 36 years old, coming from Vâlcea county and “naturalized” to Bucharest for over ten years. Since three years ago he practices apnea diving “in an organized and «methodical» fashion”. “Freediving started to draw me in through offering me the key to another dimension, an interior one. When you freedive you feel truly free,” Bogdan explains his attraction to freediving. The most recent event in which the Romanian freedivers have taken part was the Sofia Freediving Cup 2012 in Bulgaria, on the 17th and 18th of November 2012. Our team comprised six athletes: Ilhan Baobec, Adrian Lică, Bogdan Miţoc, Sergiu Şerban, Traian Văduva, Mihai Vigariu. On this occasion Adrian Lică established a new male national record with 107m DYN (Dynamic with Fins).